This post is likely to offend many. I apologize in advance and urge you to remember that my opinions are my own and mean little to nothing. I hate strongly dislike holiday themed decor. Finally got that off my chest. I don't like elves, or bunnies, or black cats. Nor USA themed knick knacks, hearts, or reindeer. While perusing my latest Garden and Gun, I devoured an article by Julia Reed stating her distaste for wreathes made of things other than greenery and displayed at times other than Christmas. A fellow disliker of egg festooned or fall themed wire wreathed doors? Thank goodness. I felt like I was lone wolf traversing a desert festooned with pastel, red and green, autumnal brown knick knacks. Now I have company, in the form of a fellow opinionated Southern lady who I greatly admire. People even theme out their cars! 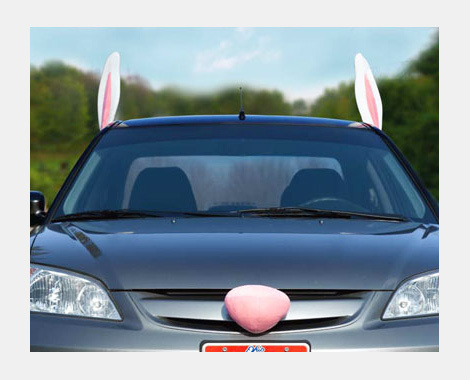 Does your car really need to be dresses as a bunny? Really, people? And, yes, I do seasonally decorate. I'm not a complete puritan. I love nativities and greenery, and glass ornaments sprinkled about. For spring I like Easter Lilies and fresh flowers from the yard. I think it's been a slow case of decorations fatigue, and a ever growing aversion to theme decor which has brought me to my current state of even sneering at Christmas china. Hubs calls me a Grinch, but I think I'm taking a Julia Reed- like stand. 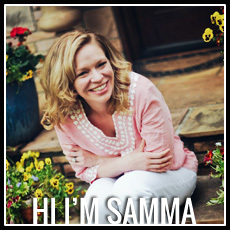 Dear readers, are you horrified at my grumpiness? Do I have any other compatriots in my stand against knick-knackery? I take no offense to your aversion to holiday decor - to each her own! I actually agree with you to an extent - I hate clutter and useless knick knacks and don't like decorations that don't match my everyday decor. Plus, I'm lazy and hauling out seasonal decorations is a pain! However, I do have a soft spot for Christmas and will decorate despite the clashing (which still bothers me, but not as much as not having Christmas decorations). I'm sure once there are little ones who get excited about holidays in our house I'll start decorating for all the holidays but until then, I save the effort for Christmas. Ahhh I am a secret holiday decoration junkie. And while I would NEVER put the bunny ears or antlers on my car I smile inside every time I see someone else do it. I was this way too until we had our son. Ever since he was 4 yrs old or so, he would get so excited about decorating and want to do different things, so I gave in. Sweet Mylanta! You have totally hit one of my biggest pet peeves! Now, let me be up front... I like to see others' TASTEFUL holiday displays. It's nice to go to open houses at Christmas and eat, drink, & be merry under twinkly lights & trees with elegant ornaments (and RIBBON! LOVE me a Christmas tree covered in ribbon!). However. Ohhhh HOWEVER! I am not one of those people who haul in a whole new decor for each holiday. I only decorate for the holidays that I do because I have 2 little girls... If it were up to me? I'd rather buy bags & shoes than useless knick-knacks. Plus the time & effort involved in getting the decorations from the attic, displaying them just so, packing them all back up, back to the attic, etc... Waaaay too much to bother with. And don't even get me started on yard inflatables. Is an 8 foot blow up turkey REALLY NECESSARY?! lol. I think not. I am with you. All for seasonably appropriate flowers and greenery but pass on the knick knacks. I do like seeing houses really done up inside, especially for Christmas. But, there is nothing more sad than a few valentines/Easter/Halloween/thanksgiving decorations scattered about. I'm so glad you posted the eyelash picture - have you seen the one with a mustache? I saw it one morning on my way to work and almost wrecked...btw - I agree with your feelings about holiday decor. I believe my feelings are more strongly a dis-like for clutter in general. I decorate sparsely for Christmas, but I refuse to decorate for any other holidays. So, I guess I'm pretty much right there with you. For me, I don't see the point in putting out Easter bunnies and eggs for a holiday that really only lasts a day (I feel like Christmas is basically a month, and I mostly keep it to "winter-themed" decor so I can leave it through the New Year). My grandmother, whom I grew up with, is a notorious holiday decorator. She puts her Halloween decorations up in September, and her Christmas decorations up in October. Kid you not. Also, she leaves her tree up all year 'round (minus the decorations, I THINK). Thank you! I was starting to feel like a bad wife for not putting bunnies and pastel eggs around the house, or hanging black cats from the fan in the living room. I even struggled with should I buy the stuff 50% off after the holiday to have for enxt year and still couldn't bring myself to do it. I don't like knick knacks. 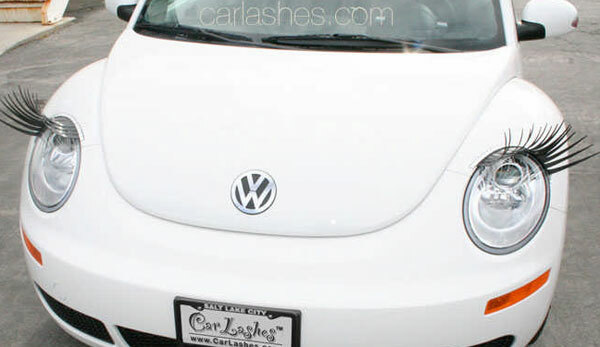 And why does every person that owns a VBug have a fake flower holder in their car???? Hmmm. I probably fall into the middle of the road on this one. I don't have any Halloween decorations (HATE) and I don't have any Fourth of July stuff, except maybe a flag which I use year roung anyways. I do Easter and Christmas and "harvest"/Thanksgiving/whatever because it's my birthday month and I can--but, honestly, this year, I forgot to put our my Easter decor, so, it obviously wasn't a big priority! I usually just put the decor on the fireplace and the entryway table. It doesn't take over the house. I'm sure that despite my efforts, I will become my mother in that sense and my children will have Christmas lights in their bedrooms. Help. I am back and forth. I tend to like seasonal decorations. More so I tend to like other people's seasonal decorations. I have made a number of wreaths for our door. I use the grapevine wreaths & wrap them with seasonal ribbons and flowers. Except during football season as fiance is a coach. I have a maroon & gray wrapped wreath with a maroon & gray DB on it. As for Christmas, I severely disliked the holiday for several years so I never had decorations for it until recently. My biggest issue with decorating is really the storage. I hate trying to find a place to store things that just sit there and have no real use. I grew up in a house with too much stuff (from my grandparents, my parents, and everything that was picked up over the years) so I hate clutter. If I can throw/give it away I will! Agree! I have a friend who has a Rubbermaid tub filled with decor for EACH holiday. She changes out her decor almost every month. WTHeck?! oh geez, THANK YOU FOR THIS. i can't stand holiday decor. if it's tastefully done in someone's home then it's alright...but the knick knacks? GAG. the wooden pilgrims and ceramic bunnies and glittery snowmen? HOLY HELL. i think my dislike of it stems from hating clutter. i refuse to buy knick knacks...they make me twitch. my holiday decor consists of a christmas tree, THAT'S IT. so glad i'm not alone in this! I take no offense either! I'm all for christmas or a few things here and there (I have friends that change like their mangle out).It's not for me. I put up a tree and stockings in December and that's all she wrote at my casa. My grandmother was huge on celebrating everything. If you don't enjoy the little things in life, what's left? She thought it was important to find joy as often as possible. So I decorate (just little touches, here and there) for each holiday and always "celebrate." Green Beer on St. Patrick's Day, pink mashed potatoes on Valentine's Day, dyed eggs and a supper with all the fixin's on Easter, etc.